Right after The Evil Within 2 launched, inquisitive fans discovered something: a first-person mode that was limited to a specific part of the game’s story could be (with some finagling) extended to other areas of the game. The community began clamoring for this feature to be officially extended to the rest of the game, and the development team at Tango Gameworks has listened. The entirety of The Evil Within 2 can now be played in first-person on PS4, Xbox One and PC in a free update. 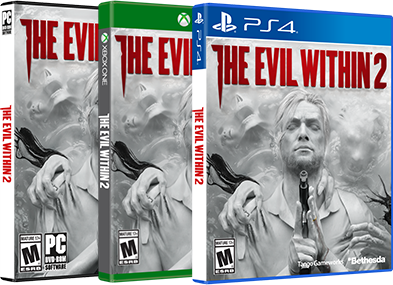 If you haven’t had a chance to check out The Evil Within 2 and want to try it out before you buy it, you can download the Free Trial and play through the opening chapters of the game. All save data will carry over if you choose to upgrade to the full game. The new first-person mode is also available to try out in the Free Trial. As an added bonus, should you decide you want the full game, you can take advantage of the digital sale and get the game for 50% off. The sale kicks off today and will run through February 19 on Steam and February 20 on Xbox One and PlayStation 4. If you already have The Evil Within 2, changing to first-person is as simple as flipping a switch in the menu. You’ll be able to change this at any point, so you can experience the game however you like. For more on the new mode, we spoke to Producer Shinsaku Ohara about the process and challenges of bringing a first-person perspective to a third-person game. Some savvy users figured out a way to activate this mode outside of its intended area, and the reaction to it was pretty positive, so we said, “What the heck. Let’s put it in as a bonus for all platforms.” A lot of players like playing horror games in first-person, so for those who want to see some of the game’s situations through Sebastian’s eyes, it’s a really neat experience.